This section will go into detail about Deepak Chopra, the Chopra Center, and all the wonderful benefits you can receive from the courses and programs offered. Experience the healing of Ayurveda through direct experience by attending a seminar or complete course, and become immersed in the deep wisdom and knowledge of Deepak Chopra through his books. You will also be able to receive generous discounts and special pricing by using my name, Giselle Toner, when booking any course or program presented by the Chopra Center. Call a Program Consultant at 760-494-1631, and mention my name. Your discount will vary with the price of your course. I started my studies in Ayurveda in 1996 with Deepak Chopra, M.D. 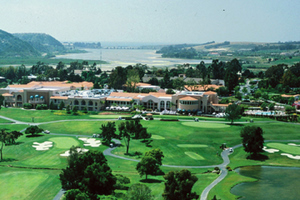 The Chopra Center is located in Carlsbad, California, at the beautiful LaCosta Spa and Resort. I had already been very involved in yoga for years and was teaching classes, but I wanted a deeper understanding of the mind/body connection, and Deepak Chopra had courses and books that enticed me to take my knowledge further. Based on the global best seller Perfect Health by Deepak Chopra, M.D., the Chopra Center Ayurvedic Lifestyle Program teaches you to easily bring balance and healing into your life. Students will learn a powerful regimen of Ayurvedic practices designed to balance the body and mind, enhance nutrition, reduce emotional turbulence and re-awaken the senses. In some form or another, we all seek Perfect Health—physically and emotionally. Chopra Center co-founder and medical director, David Simon, M.D., has designed a beautiful five lesson course for achieving equilibrium of the mind and the body. When our bodies and minds are in balance we can make nourishing choices, achieve the healing, and experience the change we seek. The Perfect Health program is presented in five sessions over several days. In Session One, your Chopra Center Certified Perfect Health Instructor will introduce you to the basic principles of Ayurveda, Meditation, and Yoga as well as the three primary mind-body personalities: vata, pitta, and kapha. In Session Two, you will learn how to select and use the most nourishing foods for your mind-body personality. These nutritional practices will help you maintain vibrant health, appropriate weight, and optimized digestion. In Session Three, you will learn to perpetually renew yourself each day by recognizing and eliminating toxins and by performing gentle rejuvenating techniques. In Session Four, you will learn tools to practice conscious communication to enhance your relationships and help you achieve emotional freedom. In Session Five, your instructor will teach you to use your senses to access the power of your body’s inner pharmacy to heal, nourish, and maintain balance. Take the steps needed to bring yourself to optimum health through the teachings of Ayurveda, the Perfect Health program and Deepak Chopra. To take your next step toward developing a Perfect Health Ayurvedic Lifestyle practice, please feel free to contact me for information on my local course or for information on other courses developed by Deepak Chopra, either in California or around the world. If you would like to experience the wonderful world of Ayurveda and its healing and nourishing products, I suggest you visit the Chopra Site. If you decide to purchase any products, you can use a special code that I am authorized to give you for free shipping. The code number is AC0808001. When ready to make your purchase, use the code for FREE SHIPPING on your first order of any products! Also, remember, you will be able to receive generous discounts and special pricing by using my name, Giselle Toner, when booking any course or program presented by the Chopra Center. Call a Program Consultant at 760-494-1631, and mention my name. Your discount will vary with the price of your course. Visit the Chopra Center's site for a wonderful experience in Mind/Body rejuvenation. You'll find books and a wealth of healing products and information.